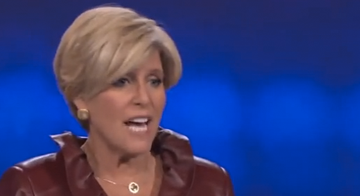 We're big fans of Suze Orman, the no-nonsense finance guru who appears on places like PBS and CNBC. Not only do we like the advice she gives, but also the fact that she usually delivers it with a laugh or two. It takes a lot to get the usually cheerful Orman angry, but that's exactly what happened in this recent video clip. The subject? Private student loans. The comments occurred during a segment on Orman's show America's Money Class, which airs on the Oprah Winfrey Network. An audience member got up and asked a question about her private student loan. Suze doesn't like the fact that this recent college graduate has taken out a private loan, and uses it an an opportunity to educate the rest of us about how bad these loans can be. The bottom line? Don't ever, EVER, take out a private student loan. Watch the video below, and let us know your thoughts. Would you ever take out a private student loan?